The sun was out so it was time to go for a drive. Tops were down and the weather was great. Nicely done, looks very real. 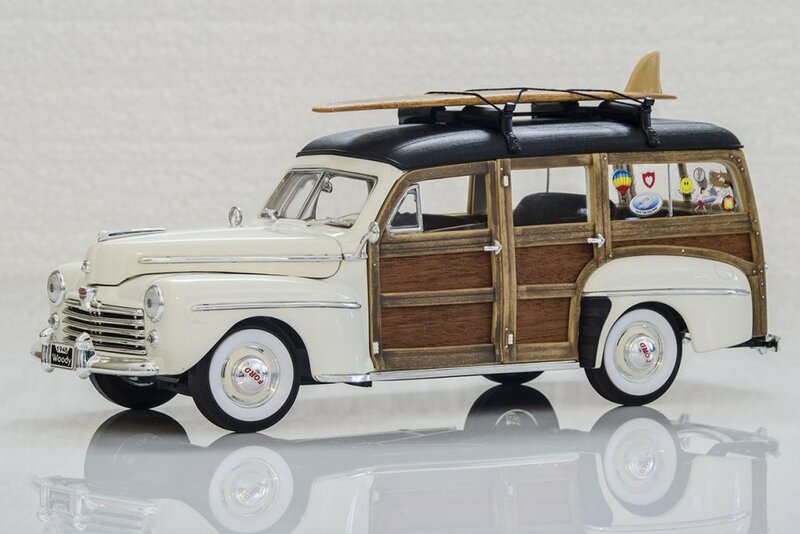 Wait til you see my '48 Ford Woodie with surf board included. Still too cold to hit the beach. But soon. Ah, here is a shot of it. Will look much better with the sand and surf and bikini bottoms. Last edited by Bynx; Mar 31, 2014 at 5:15 PM. How about showing someone real at the wheel? Its funny you should mention that. Im doing interviews with a whole bunch of little people.